According to an insider, China's NetEase.com is planning to upgrade its website department to a business department, which will have its independent content, sales, marketing, and administrative systems. 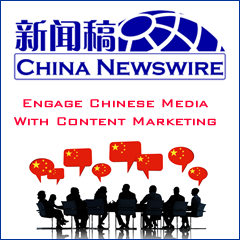 The insider says NetEase.com's executives led by William Ding has decided to enhance its investment in the content channel in the next two to three years and will enlarge the share of its Internet advertising sector in the company's total revenue. Therefore, if no unexpected events occur, NetEase.com's current website department will be upgraded to business department. NetEase.com's website department is currently co-managed by the company's vice presidents Li Yong and Yu Huafeng. Li is in charge of the contents, human resources, logistics and administrative work, while Yu is responsible for sales and market. In addition, former chief editor of Chinese financial website Hexun.com, Yang Bin, will join NetEase.com to command the financial market sector and directly report to Yu. NetEase.com is expected to announce the adjustment within March 2009, but the company has not given any official comment about this.